Dags of Frothers Unite fame has organised a great charity miniature that every home should own.....please give generously as they are a worthy bunch of causes...I spoke to Dags today at Fiasco and it is going really well.......more bits are being sculpted as we speak so the more we raise, the more mini goodness is available! 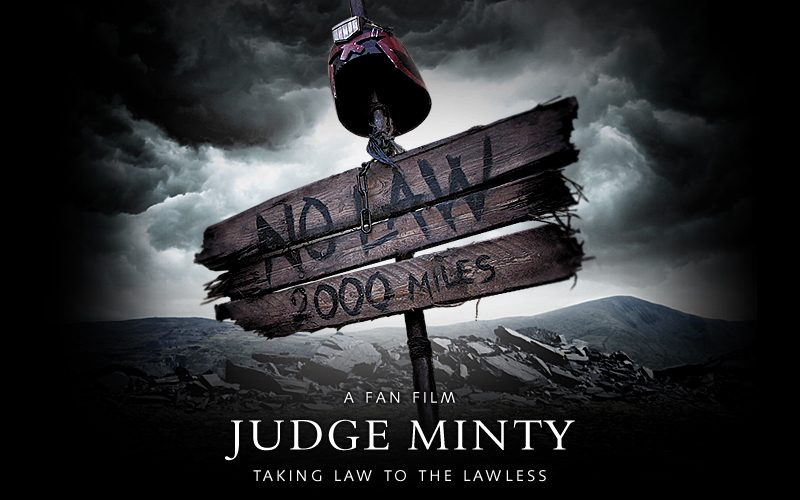 Who needs Dredd when you can have Judge Minty? 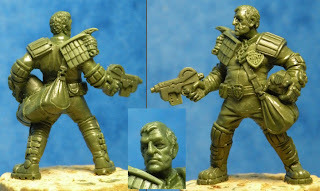 This year’s Charity mini is a sculpt of the eponymous hero of the forthcoming Fan Film Judge Minty sculpted by Kev White of Hasslefree Miniatures based on the character written by John Wagner that introduced The Long Walk in 1980. 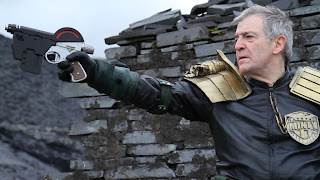 As always, there are numerous people that deserve huge thanks for getting this project off the ground…. 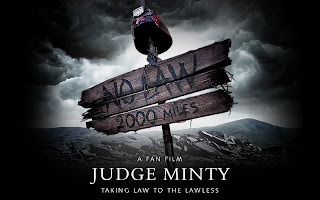 The cast and crew of Judge Minty, in particular, Steven Sterlacchini, Steve Green, Daniel Carey-George and, Minty himself, Edmund Dehn – without them it would not be happening. Matt Sprange from Mongoose Publishing and the guys at Rebellion for allowing us to infringe on Mongoose’s license and 2000AD’s IP. Again, without Matt’s help this would not be happening. So how do you get your Judge Minty mini? There is no minimum donation per se. I've always hated telling people what they should give; it should be what you can afford but if you would like multiple copies I'd suggest £15 per mini – all money is going to the charity of your choice. When will you get your miniatures? Even though we’re a bit more organised than usual these things take time especially as everyone is doing this in their spare time around their usual work. 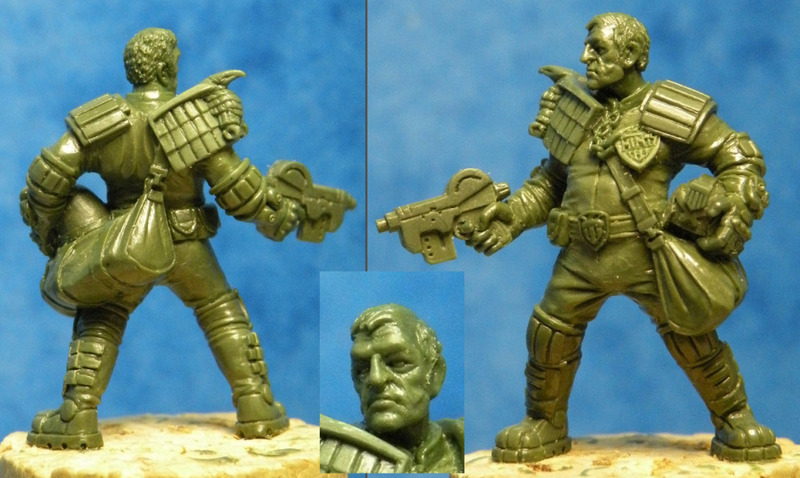 Firstly Grey Matter will be moulding and casting a few in resin. Then he'll be off to Pete for Master moulding & master casting. Those masters are then shipped off to Ed in the States. 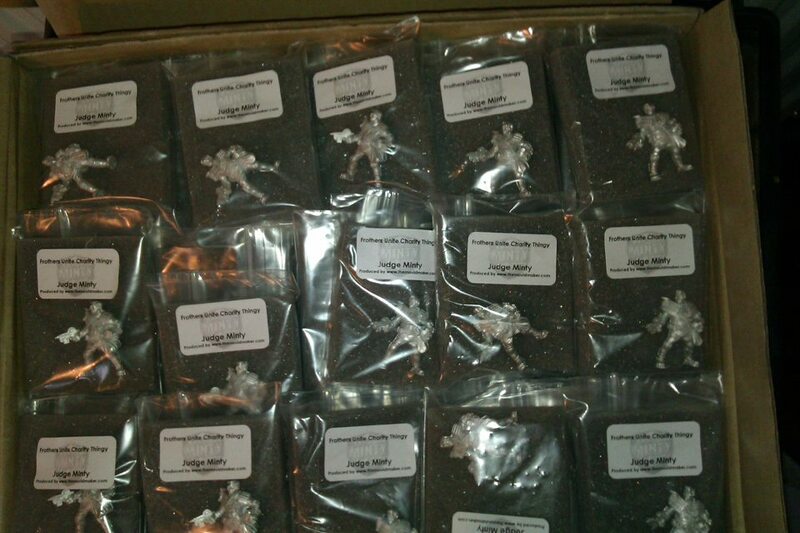 Production moulding and casting and return shipping all takes time especially with the holiday season approaching. Hopefully they’ll be going out in late February. Lastly, a huge thank you to you guys; without your generosity we’d never be able to continue.